Beautiful patio homes in Colorado can offer the most relaxing or eventful places around your home or grounds this summer. As long as you play your cards right, do a little remodeling, and ask your household to chip in with some ideas, you’ll find that everyone will excitedly play their role when it comes to enjoying time outside on the patio. 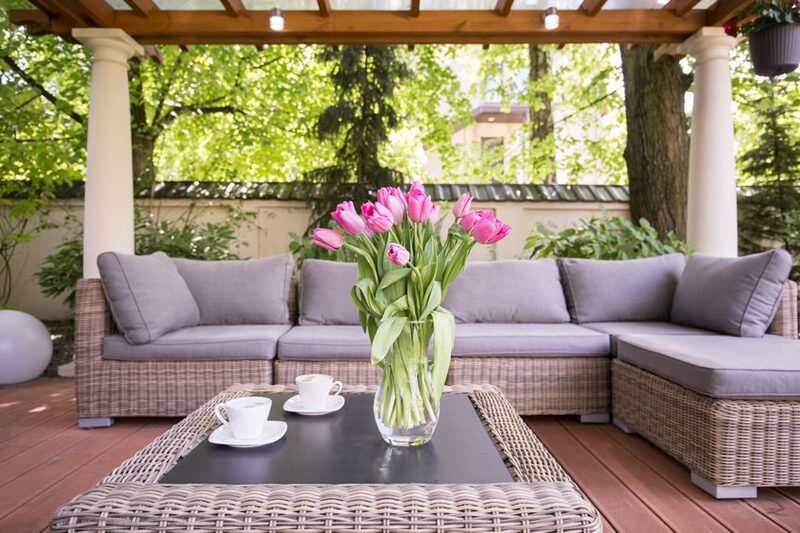 The best thing to consider is turning your patio into a place where you can have a social gathering or just spend some quality time with your family. It doesn’t have to look extravagant, but adding a couple of love seats, or an ornate table and some chairs can sometimes be everything you need to enjoy a barbecue, a picnic or just some fun by the pool. Your patio can also become a tranquil getaway from the world’s troubles and stress. Consider decorating it with potted plants and surrounding it with beautiful rose bushes, trees and lush bluegrass. You won’t want to spend time anywhere else this summer. Finally, if you have children, you can extend the patio to include play areas for them. Add a large tent or a bounce house for them to play with, and consider joining in on the fun. If you have enough space, you can even set up a small desk to engage with your kids in activities like arts and crafts or woodworking.